Horses and Humans Research Foundation's Scientific Advisory Council is a group of leading researchers and experts from equine-assisted activities and related fields. Members respond and contribute to a variety of foundation research related needs including advising and assisting the staff and board in scientific strategic decision making, educational outreach and in areas related to grant applications and assessment. Their contributions in all areas help sustain the most relevant and highest quality research possible. Heather Ajzenman received her doctorate in occupational therapy from Washington University in St. Louis in December of 2012. She piloted a study on “The Effect of Hippotherapy on Motor Control, Adaptive Behaviors, and Participation in Children with Autism Spectrum Disorders,” which is currently in press in The American Journal of Occupational Therapy. As part of her apprenticeship, she worked with a variety of American Hippotherapy Association faculty members learning different research, business, and treatment approaches, and developing a hippotherapy toolbox and practice model that she employs in her current practice.Prior to her degree in occupational therapy, she was an adaptive riding instructor for 7 years, preparing students for entry into Para Dressage competition. She currently lives outside the research triangle area in North Carolina working full time as an occupational therapist with children ages 6 months to 21 years old in the community setting, including using hippotherapy as a treatment strategy. She is an active dressage rider with experience schooling at the FEI level, now focusing on bringing her young KWPN mare up the levels. Heather will also be on the board of directors for the American Hippotherapy Association. Ann Linda Baldwin Ph.D. is Director of Mind-Body-Science and Professor of Physiology at the University of Arizona where she studies the physiological effects of mental and emotional stress and quantitatively evaluates methods to reduce stress. For the last 15 years she has used Biofeedback, Reiki, Equine Therapy and Trauma Release Exercises in her business to help people manage their stress and improve performance. She is a certified HeartMath trainer and is frequently invited to give seminars and stress reduction workshops to local and national institutions, clinics and businesses. Dr. Baldwin obtained her Bachelors degree in Physics from University of Bristol, UK, her Masters degree in Radiation Physics from University of London, UK and her PhD in Physiology from Imperial College, University of London. She has published over 120 articles in peer-reviewed scientific journals, has received 30 years of research funding from federal institutions and has served on review panels for National Institutes of Health. She is Editor-in-Chief of the Center for Reiki Research project to critically evaluate and summarize all scientific studies on clinical effects of Reiki that have been published in peer-reviewed journals. Dr. Baldwin gives 10-12 invited seminars and interviews per year, and her work has been featured on KVOA News 4 and on KUAT Arizona Illustrated. She teaches principles of biofeedback to medical residents, nurses and graduates and has developed a practical “engaged learning” course called Physiology of Mind-Body Interactions for undergraduates. In her spare time Ann likes to ride her horse and has volunteered as a horse handler for Therapeutic Riding of Tucson for many years. Dr. Banse obtained her DVM from Washington State University. Following graduation, she completed an internship in Large Animal Medicine and Surgery at the University of Georgia and a combined residency and PhD program at Oklahoma State University. She became board certified in large animal internal medicine in 2011 and completed her PhD in equine metabolic syndrome in 2013. She arrived at the University of Calgary in 2013, where she is currently Assistant Professor of Therapeutics. Her research focuses on the pathophysiology, diagnosis, and treatment of equine metabolic syndrome and pituitary pars intermedia dysfunction. Margaret Bass, Ph.D. has over twenty years experience working in a variety of educational and rehabilitative settings. Mrs. Bass holds a Bachelor's degree in Recreation/Business Management, a Master's Degree in Special Education, as well as a doctoral degree in Special Education Administration. In 1999, Margaret co-founded the Good Hope Equestrian Training Center, Inc., a not for profit organization in South Florida, which provides an array of equine assisted programming to children, youth and adults with varying disabilities. Over the last eleven years, Margaret has served as the Executive Director of Good Hope and has been responsible for managing the programmatic, fiscal and administrative facets of this multi-faceted organization. "As a professional within the industry, I have observed and evaluated the benefits of EAA first hand. To facilitate the evolution of this field it is imperative that we promote the development of the EAA/T empirical base. As a seasoned grant writer and a published researcher, I am excited about the opportunity to share my knowledge and skills with the HHRF. I would like to facilitate the mission of HHRF by guiding and selecting research grant proposals that will scientifically validate the therapeutic benefits of EAA/T." Dr. Brenneman is a researcher at i3 Innovus in the Health Economics & Outcomes Research group. She specializes in health economics, health policy and survey research methods. She implements and manages all components of research projects from study design and data collection to statistical analysis and the dissemination of results. Dr. Brenneman has more than 20 years experience in various healthcare and research settings. Prior to joining i3Innovus, Dr. Brenneman was Associate Vice President of Decision Support at St. Luke Hospital and Health System. Dr. Brenneman also worked at Merck & Co., Inc for more than 5 years as Senior Manager in Outcomes Research and Management conducting studies in several therapeutic areas including osteoporosis, asthma, and arthritis. In addition, she was an Assistant Professor in the Physical Therapy Department at Arcadia University and a physical therapy clinician in several healthcare settings. Dr. Brenneman has authored or co-authored several book chapters and has published in numerous peer reviewed journals including, Journal Bone and Mineral Research, Pediatrics, Medical Care, Osteoporosis International, Archives of Internal Medicine, Journal of American Geriatrics Society, and Disease Management. 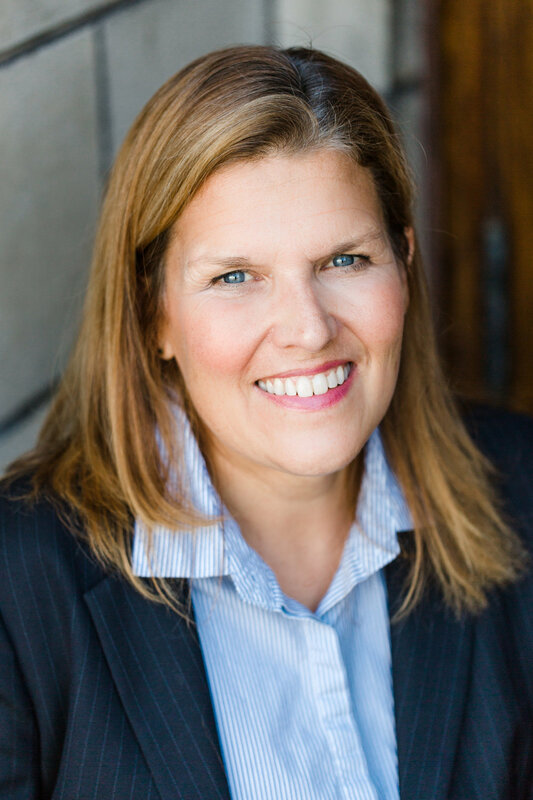 Dr. Brenneman earned a PhD in Policy Research, Evaluation and Measurement at the University of Pennsylvania, a MS in Health Education at Arcadia University, a Physical Therapy degree from the University of Pennsylvania, and a BS in Biology from Eastern Mennonite University. Dr. Virginia Buechner-Maxwell is a veterinary specialist in Large Animal Internal Medicine and has been a faculty member at the Virginia-Maryland College of Veterinary Medicine in Blacksburg, Va. for almost 20 years. She completed a residency in large animal internal medicine at the Marion duPont Scott Equine Medical Center in Leesburg, Va. after obtaining her veterinary degree from Virginia-Maryland and spending a year in private practice in California. As an academic veterinarian, Dr. Maxwell teaches veterinary and graduate students, serves as a large animal clinician in the Veterinary Teaching Hospital, and participates in research aimed at increasing our understanding of diseases that affect horses and other animal species. As part of that research, she is also interested in developing a better understanding of the relationship between stress, behavior, and health in horses. She recently joined the board of the college’s Center for Animal Human Relationships (CENTAUR) as the large animal representative. After joining the CENTAUR board, Dr. Maxwell completed the certification program in Animals & Human Health offered by the Graduate School of Social Work at the University of Denver. She is presently working with CENTAUR board members to expand their equine program in ways that complement the small animal activities already in place. She hopes that working with the members of HHRF will provide opportunities to increase veterinary awareness and support of programs that build upon the positive and unique aspects of the horse-human relationship. Pam Cusick is an experienced public health research professional with experience in the areas of education, communications, and research as well as strategic planning, community outreach, and public relations. Pam earned a BA in Psychology from Sweet Briar College, and a MA in Psychology from the New School for Social Research. Pam has been involved with horses for much of her life and is interested in increasing public awareness of the therapeutic benefits of working with horses. Lydia Donaldson, VMD, PhD, Diplomate ACVAA, majored in chemistry in college and then did a stint in the Peace Corps working in nutrition and literacy before applying to veterinary school. After graduating from the University of Pennsylvania School of Veterinary Medicine, Dr. Donaldson practiced small animal medicine in northern Virginia for 9 years. Her longstanding interest in neurology and neurophysiology led to specialization in veterinary anesthesia. Concurrent with her residency training at the Virginia-Maryland Regional College of Veterinary Medicine (VMRCVM) Dr. Donaldson earned a PhD in physiology from Georgetown University School of Medicine. She continued at the VMRCVM’s Marion DuPont Equine Medical Center’s anesthesiologist managing patient anesthesia and assisting with critical case care while teaching and researching aspects of equine anesthesia. Now retired after an additional 10 years as a part time anesthesiologist for a privately owned MRI center, Dr. Donaldson continues to participate in the activities of the American College of Veterinary Anesthesia. "I have always admired the work of individuals involved in therapeutic riding but my responsibilities to veterinary medicine left little time to participate. Now that I am retired, I look forward to this opportunity to apply my scientific training to support efforts in well formulated research documenting the role of horses in helping humans." Manon Dontje, PhD is a Human Movement Scientist and Clinical and Psychosocial Epidemiologist (University of Groningen, the Netherlands). Her area of research and expertise is physical activity behaviour, including innovative methods to measure physical activity, determinants and the relationship between physical activity and health. She currently works as a post-doctoral researcher at Glasgow Caledonian University (Scotland, United Kingdom), investigating sedentary behaviour in older adults. She has published in several international peer-reviewed scientific journals. In addition to her scientific work she has worked as a physical activity coach for over 6 years. As a physical activity coach she encouraged sedentary people to adopt a more active lifestyle and guided them through behavioural change, which resulted in improved health and well-being. Ever since she started her scientific career she has dreamt of combining her love for horses with research. She has been riding horses for over 22 years and experienced the positive effects of horses on lifestyle, health and well-being first hand. Erica J. Gergely received her PhD in Clinical Psychology from Western Michigan University where she completed a quantitative doctoral dissertation on the study of equine-assisted therapies. Her academic training focused primarily on cognitive and behavioral therapies and the use of evidence-based practices in psychology. Clinically, she has worked in a variety of settings with a wide range of client populations, including inpatient, outpatient, partial-hospital, community mental health, and primary care practice. She is certified in the EAGALA model of equine-assisted psychotherapy and serves on the Research Committee for EAGALA. She currently works as a psychologist, supervises pre-doctoral psychology interns, and teaches online undergraduate courses in Cultural Diversity and Sociology. Prior to earning her PhD, Erica earned a master’s degree in Forensic Psychology from John Jay College of Criminal Justice. She has assisted in research with RAND Corporation and on a joint research project between JJAY and the Federal Bureau of Investigation. Judith Gibbons is Professor Emerita of Psychology at Saint Louis University. Her research addresses adolescent development in the majority world, especially at-risk youth in Guatemala, as well as intercountry adoption, gender roles, and violence prevention. She is the founding editor of the American Psychological Association journal International Perspectives in Psychology, the past-president of the Interamerican Society of Psychology (SIP), former president of the Society for Cross-Cultural Research, and a former Fulbright scholar at the Universidad del Valle de Guatemala. She has published over 100 journal articles and chapters and two books, The Thoughts of Youth and Intercountry Adoption: Policies, Practices, and Outcomes. Among those publications are two peer-reviewed articles showing the effectiveness of equine interventions in a Guatemalan community and with at-risk Guatemalan youth.Dr. Gibbons serves on the international board of the Centre for Applied Cross-Cultural Research in Wellington, New Zealand and on the board of directors of Colegio Americano del Sur, a bilingual school in Santa Lucia Cotzumalguapa, Guatemala. She lives in Antigua, Guatemala with her husband, two canine and two equine friends. Erin Grogan holds a PhD in Education Policy from Michigan State University, a Masters of Public Administration from University of North Carolina-Chapel Hill, and a Bachelors of Science in Psychology and Political Science from Union College. She is Partner, Research and Evaluation for The New Teacher Project (TNTP), overseeing TNTP’s internal research portfolio and managing program evaluation projects for large school districts across the country. Her research focuses on teacher certification, development, and evaluation, and has been published in peer-reviewed journals including Developmental Psychology and Education Researcher. She currently serves as an appointed member of the New Hampshire Department of Education’s Professional Standards Board. She was formerly a 3rd grade teacher in Baton Rouge, Louisiana and a charter school administrator in Philadelphia. Dr. Grogan has been involved in therapeutic riding since 2004, when she first became a volunteer at a program in North Carolina. She became a PATH-certified Registered Instructor in 2014, and serves on the Board of Directors of Miracles in Motion Therapeutic Riding in Keene, NH. She is an avid rider with her trusty Morgan mare, Isabel. "I am honored to join HHF's Scientific Advisory Board, as I am deeply committed to building a rigorous research base exploring the outcomes of equine assisted therapies. I am particularly interested in seeing increased collaboration between researchers who study interventions for children with disabilities in the K-12 school setting and those who study interventions in the equine assisted therapy setting." Dr. Haefner received his Ph.D. in Clinical Psychology from Catholic University in 1993 with a specialty in marriage and family interaction. In his early career he worked as a clinical research consultant, as well as a clinician working with youth in both the juvenile justice and special education settings. He has been in private clinical practice since 1994. In the last decade his practice has focused on both sport psychology consultation with equestrians and equine assisted psychotherapy with individuals, families and groups. Dr. Haefner is certified through EAGALA as both a mental health and equine specialist. He served on the Board of Directors of the Loudoun Therapeutic Riding Foundation from 1998 – 2005. He currently serves as EAGALA’s Research Committee Chairperson. Victoria Haehl, Ph.D. is a physical therapist who uses hippotherapy as a treatment tool with patients with neurologic dysfunction. As part of a Master’s Degree in Human Movement Science (The University of North Carolina), she conducted research that examined the effects of hippotherapy on children with cerebral palsy. As part of a Doctoral Degree (The University of Michigan) in Kinesiology, she conducted research that developed a mathematical model of the biomechanical relationship between the horse and human in an attempt to identify the underlying mechanisms involved. She has been involved in writing grants at the foundation level and at the national level (NIH) and has written and edited articles for professional peer-reviewed journals. She also serves the American Hippotherapy Association as a reviewer of research grant proposals. "I sincerely believe that well designed research, as part of the scientific inquiry process, will assist in filling the void of knowledge that exists in the area of equine-assisted activities. Further, I hope that by serving on the Horses and Humans Foundation Scientific Review Committee I will support and contribute to this process." Carolyn Hammer, DVM PhD, is Director of the Equine Science program at North Dakota State University and also serves as the North Dakota Equine Extension Specialist. She teaches several courses including Equine Nutrition, Equine Production and Management, and Large Animal Veterinary Techniques as well as coordinating student internships. Her research focuses on improving equine health and has recently expanded into equine guided education. Dr. Hammer is certified in the EAGALA model as an equine specialist and is also involved with an interdisciplinary group on campus to increase awareness of animal assisted therapy. Dr. Hammer has authored and co-authored several scientific and popular press articles and she serves as a reviewer for scientific journals. M. Elizabeth (Betsy) Kemeny, PhD, CTRS is currently an Assistant Professor at Slippery Rock University who focuses her research on equine-assisted interventions for both adolescents on the autism spectrum and older adults. She is a member of the International Society for Autism Research, a certified Heart Math Intervention Specialist, a certified Heart Math coach, and a credentialed Professional Gerontologist. Her presentations and publications focus on youth with autism, staff development supporting the care needs of older adults, and client assessment. More recently, she has also been working with researchers from Clemson and Temple Universities on the ATRA Delphi/Competency Study to better understand the competencies needed in the field of Recreational Therapy. She studied Sociology at Wake Forest University, finished a Masters in Recreation Administration with a concentration in Therapeutic Recreation at University of North Caroling at Chapel Hill, and a PhD in Administration and Leadership of Nonprofit and Public Sectors at Indiana University of Pennsylvania. She currently facilitates a number of service-learning programs for youth on the autism spectrum and veterans with disabilities. During her 25 years in the field, prior to becoming a faculty member, her work experience focused on dementia care and included skilled nursing, adult day care, hospice, assisted living and outpatient rehabilitation. Donna Latella is a Professor in the Occupational Therapy Department of Quinnipiac University, Hamden, Connecticut. Her teaching responsibilities are numerous throughout the OT curriculum and include: Pathophysiology, Treatment Principles, Problem-based Learning, Fieldwork Supervision, Administration, Service Learning, Capstone Research Projects, and supervising student summer research grants. In addition, she has worked as a faculty OT Clinical Coordinator developing and placing internships across the country. Donna’s doctoral dissertation culminated in an animal-assisted therapy curriculum guide for occupational therapy programs. She has provided animal-assisted therapy for approximately 18 years and involves her OT students in AAT visits through Service Learning and classroom activities/projects, research, and creation of new AAT programs. She and her Golden Retriever, Aubry, are certified through the Delta Society as a Pet Partner Team. Donna is a registered therapist in Hippotherapy and a registered level Professional Association of Therapeutic Horsemanship International instructor. She has worked at High Hopes Therapeutic Riding, Inc. since 2006. Donna lives in Guilford, CT with her husband, 2 teenagers, 4 horses, 3 dogs, and a parrot. She enjoys running, cycling, riding, and boating. Laura S. Lubbers, PhD, is a neuroscientist currently working on psychiatric disorders at a large pharmaceutical company. She received her Doctoral degree from the University of Illinois, Champaign-Urbana in 1996. Subsequently, while working at the University of Massachusetts, Amherst, she was awarded grants from the USDA and served as a grant reviewer for the same funding agency. She has served on governmental advisory panels, and as a reviewer for numerous scientific journals and was appointed to the Editorial Board of the journal Endocrinology. Dr. Lubbers advocates at the Federal level for support of persons with Tuberous Sclerosis Complex, a disorder that can cause profound physical and cognitive challenges. As a neuroscientist, she is intrigued by the ability of the brain to adapt to challenges and she marvels in the ability of those who are differently-abled to strive to succeed, despite the struggles they may face. even the volunteers! My hope is that validation of the physical, emotional and cognitive benefits of riding, through scientific study, will allow for expanded access of this form of therapy to individuals who could benefit from it." Karyn Malinowski, Ph.D. is Director of the Equine Science Center at Rutgers-Cook College and the New Jersey Agricultural Experiment Station. She also serves as Dean of Outreach and Extension Programs and Director of Rutgers Cooperative Research and Extension. Dr. Malinowski has been a faculty member at Cook College since 1978, and rose to the position of Extension Specialist in Horse Management before being appointed Dean. Her equine research and extension programs concentrate on improving the well-being and quality of life of the equine athlete while ensuring the vitality and viability of the equine industry, both statewide and nationally. She has received numerous awards for her work, including a leadership award from the American Youth Horse Council, as well as the American Horse Council’s most prestigious national citation, Van Ness Award, in 2001. She was named "Outstanding Equine Educator" by the Equine Nutrition and Physiology Society, also in 2001. Dr. Malinowski grew up and still lives in Somerset County. She has been a “horse person” since she took her first pony ride as a toddler, and she has been involved in various horse disciplines and organizations throughout her career. She holds bachelor’s, master’s and doctorate degrees from Rutgers, The State University of New Jersey. Arieahn Matamonasa-Bennett, Ph.D. is a Licensed Psychologist and Assistant Professor at DePaul University in Chicago. Her areas of research and expertise are multicultural psychology, qualitative research methodologies, Native American studies, animal-human interaction and Equine Assisted Psychotherapy. She is Advanced Certified with EAGALA and has served on the University Committee since 2008 and as Chair since 2010. She researches, publishes and presents internationally on Equine Assisted Therapies and is a reviewer and Book Review Editor for the Human Animal Interaction Bulletin. In 2010, she founded Equulibrium Holistic Therapies, a private practice incorporating EAP as a part of treatment for children, adolescents and adults. Since 2006, she has authored and taught undergraduate and graduate level courses on a wide range of topics including courses on equine human interaction and the history, science and psychology of human-animal relationships. Nancy H. McGibbon, MS, PT, HPCS, is a licensed physical therapist with an advanced master’s degree in neurologic physical therapy. She has worked in a variety of clinical settings, including acute care, rehabilitation and private practice and serves as a consultant for Therapeutic Riding of Tucson. She has used hippotherapy in her practice for more than 20 years, was a founder and first president of the American Hippotherapy Association, and has taught workshops and lectured internationally. She is a published researcher and is presently involved in research in conjunction with the University of Arizona, Department of Pediatrics. In 2004, she received the ‘Therapist of the Year’ Award from the American Hippotherapy Association, Inc.
Pamela Mitchell has over twenty-five years of experience in higher education training speech-language pathology students and has numerous publications, presentations and grant awards at local through international levels. She has a particular interest and expertise in speech/language and communication impairments in a wide range of individuals with complex communication and cognitive impairments, including those who would benefit from Augmentative and Alternative Communication and the development of intentional communication skills. She is committed to improving evidence to promote effective practices for individuals with disabilities in all areas of functional abilities, but particularly those areas related to communication. Prof. Mitchell has a special interest in horses that began when she was quite young, and has continued. She has assisted with Horse 4H clubs for many years and has personally observed the power that horses and horse care have on emotional competence, perseverance and sense of responsibility. Megan Kiely Mueller, Ph.D. is a research assistant professor in the Center for Animals and Public Policy at the Tufts University Cummings School of Veterinary Medicine. Megan holds a Ph.D. in Applied Child Development from Tufts University. Megan's research focuses on the role of human-animal interaction as a context for promoting positive youth development and health outcomes. She is interested in fostering interdisciplinary collaboration in the study of human-animal relationships to increase the visibility and accessibility of high quality animal-related therapy and programming. "I have been involved with horses for over 20 years, and I have been able to experience first hand how horses can impact us in profoundly positive ways. I am excited to join HHRF in its mission to increase the visibility of equine activities by supporting cutting-edge, innovative research." Tim Shurtleff received an OTD from the Program in Occupational Therapy at Washington University School of Medicine (WUOT) in 2006 where he teaches OT and is part of the Human Performance Laboratory. He was the first recipient of an HHRF research grant and also received a grant from the American Hippotherapy Association to complete the pilot study upon which the HHRF grant application was based (published in Archives of Physical Medicine and Rehabilitation in July 2009 (www.tlshurtleff.com). Tim’s interest in EAA/T started in 1990 when his wife, Charla, started a Therapeutic Riding center on their farm in Missouri. At first Tim volunteered (cheap barn help), then became much more involved and became certified with The Professional Association of Therapeutic Horsemanship International as a riding and driving instructor. In 2001, he decided to pursue a degree in OT while focusing research efforts on evidence for hippotherapy. Prior to this, for 27 years, Tim worked as an internal and external organization effectiveness consultant doing strategic organization redesign, team building and other efforts to improve client effectiveness. This earlier work began after receiving a master’s degree in organizational behavior in 1976. Tim and Charla have four children, five grandchildren, a few horses and other assorted critters. Debbie Silkwood-Sherer, DHS, PT, HPCS has bachelor and advanced Doctoral degrees in Physical Therapy and a master's degree in Rehabilitation Administration. She has over 30 years of experience as a physical therapist, including 10 years of supervisory experience and 15 years providing hippotherapy services to both adults and children. She has also taught physical therapy students at the graduate level for 15 years, currently at the Herbert H. and Grace A Dow College of Health Professions at Central Michigan University. Dr. Silkwood-Sherer has conducted over eleven research projects, with three projects currently in process. She has two published articles on hippotherapy research, has one in review, and is currently finalizing another for submission. Clare is a former Equine Facilitated Mental Health Association (EFMHA) board member, former chair of the EFMHA research committee, and a member of The Professional Association of Therapeutic Horsemanship International equine advocacy task force. Clare is an Interdisciplinary PhD candidate at the University of Maine, researching eco-therapies, equine facilitated psychotherapy and the human equine bond as well as obtaining clinical licensure in counseling. She has a strong educational and research background in animal behavior, psychology, women’s health and counseling. She has over 30 years of equine experience, practicing and encouraging mutual respect-based equine handling practices. Clare teaches research methods courses, as well as courses in Livestock and Companion Animal Behavior, Equine Behavior, and Medical Issues for Counselors at the University of Maine. She is currently developing a primarily online certificate program in Animal Assisted Activities and Therapies (including Equine) and Anthrozoology for the UMaine System. She strongly encourages students to increase their awareness of how their behavior influences the behavior of the animals. "I am personally fully invested in this field, and I have a tremendous interest in ensuring that thorough, scientifically valid and valuable research is carried out in the field of equine-assisted activities. It is essential that the research produced by those interested in this field starts to become readily accessible and available to those not already in the field. Equine-assisted activities need to be considered by the medical and mental health profession as a valid, reliable and realistic alternative to conventional forms of treatment and the only way to encourage its use and further its understanding both by the professional and lay audience is to produce excellent caliber research." Maureen attended Emory University's School of Nursing, received her Master's in nursing from Georgia State University, and earned her Doctor of Nursing Practice from Brenau University. Her thesis research examined human field motion in children with cerebral palsy participating in a therapeutic horseback riding program. She is ANCC certified as a Psychiatric-Mental Health Clinical Nurse Specialist. Dr. Maureen Vidrine, APRN-PMH, BC is Co-founder and Psychotherapist with Horse Time, Inc., an equine-facilitated mental health and wellness center in Covington, Georgia. She currently is an Associate Professor of Nursing at Brenau University in Gainesville, GA and sees clients at a local public mental health center in addition to working at Horse Time. Leslie L. Williams, DVM, MPH, DACVA is Sr. Director of Clinical Operations and Pharmacovigilance at Infinity Pharmaceuticals, a small biotech company with a focus on developing and delivering best-in-class drugs to patients with difficult to treat diseases such as pancreatic cancer and non-small cell lung cancer. She has spent over 18 years in the pharmaceutical industry with several years spent at Astra Pharmaceuticals and Vertex Pharmaceuticals. Prior to joining the pharmaceutical industry, she completed her DVM at Oklahoma State University in 1984 and an anesthesia residency/master's program at the University of Illinois in 1989. She joined the faculty of Tufts University School of Veterinary Medicine in 1989 where she was involved in all aspects of teaching, research and service which included a major amount of time spent with equine patients. Leslie also completed a Masters in Public Health from Boston University in 2005. "I wanted to become involved in some sort of equine assisted therapy/activity for some time as there is increasing evidence that the individuals that participate in these activities derive significant benefit from these programs. I am a scientist at heart and am a firm supporter of evidence based medicine and believe that HHRF embodies both of these concepts." Wendy Wood, Ph.D., OTR, FAOTA, is a Professor of Occupational Therapy and the Director of Research of the Temple Grandin Equine Center (TGEC) at Colorado State University. Supported by the Carl and Caroline Swanson Foundation, Dr. Wood is PI of a systematic mapping review of refereed literature on equine-assisted activities and therapies (EAA/T) published internationally over 35 years. The purpose of this review is to comprehensively describe types of EAA/T that have been researched; recipients and providers of interventions; intervention components and outcomes, and how horses are incorporated, trained and managed. Dr. Wood is also a research mentor to undergraduate, master’s level, and Ph.D. students interested in equine-assisted interventions for children and adolescents with autism and cerebral palsy, at-risk youth, and older adults with Alzheimer’s disease and related dementias. She is an internationally recognized scholar and leader in occupational therapy, and was recognized as one of 100 influential people in the profession's first 100 years in 2017, the Centennial Anniversary of the American Occupational Therapy Association. Her work at the TGEC has brought together Dr. Wood’s love of horses with her dedication to developing evidence-based interventions that improve the everyday functioning and well-being of people with disabilities and other life challenges. "I embrace the mission of HHRF not only because it thoroughly fascinates me; but also because it is dedicated to advancing a science of the mutual flourishing of people and horses alike."